LG Optimus 4X HD finally getting Jelly Bean? 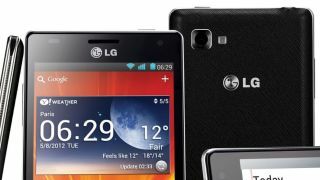 Plucky LG Optimus 4X HD owners may finally be treated to the Android Jelly Bean upgrade in the next month or so. Italian site Caotic claims to have received an email from an LG representative who said the Jelly Bean update will hit "during the first quarter of 2013" on the Optimus 4X HD. The update will apparently be pushed out to European handsets during this timescale, with no word currently on its availability for Optimus 4X HD owners in other regions. The Optimus 4X HD doesn't have the best punctuality record arriving on the market several months after its closet rivals the Samsung Galaxy S3 and HTC One X. It has since been beaten to the Android Jelly Bean punch as well by both handsets, with HTC also managing to squeeze out an updated version of its flagship device – the One X+. And let's not forget the LG-made Nexus 4 which launched the Jelly Bean OS and sported a significantly cheaper price tag than the 4X HD when it launched. It's a shame as we really liked the handset and in our LG Optimus 4X HD review it managed an impressive four and a half out of five stars, we just wish it had made an appearance at around the same time as the competition.